Do you want to get your ideas onto the page faster? Or do you need to organise your ideas for an article or a book before you write? A mind map is a diagram of visual information, based on a single concept or idea. Mind mapping is a proven and practical, creative technique for organising your ideas and research and for coming up with new and better ideas for your articles and books. 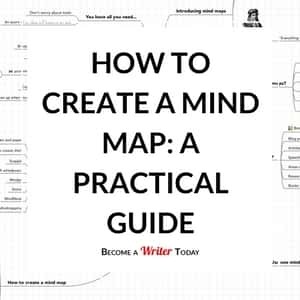 Drawing a mind map, or mind mapping, is one of the best ways to establish connections between your ideas and then see these connections in one place before you write. Mind maps will also help you connect unrelated ideas, outline your work, and save time writing. What’s more, mind maps serve as useful memory aids, and they’re ideal for visual thinkers. Modern science supports mind mapping, too. Think of your mind map like a tree; the central idea is the root and the related ideas serve as branches. To create your first mind map, start simple. Get an A4 white piece of paper and red, blue, and black pens. Turn the paper on its side and write your idea or topic in the centre of the page. From there, draw the connecting ideas. Using your coloured pens, write connecting ideas along the branches, shooting out from the central idea. These branches or lines should be thicker at the root and grow thinner as they move out from the central idea. Map out all that comes to mind and work on your mind map for 10 or 15 minutes, without interruption. Include colours and images on your mind map, so it’s visual and memorable. You should see the central idea, the overall structure, and how everything is connected at a glance. You don’t have to be great at drawing, either. It’s enough to sketch simple images, representing keywords on your mind map. Don’t fear making mistakes and don’t obsess about the structure of your mind map. Instead, simply reorder your branches or draw another mind map if you need to. If you’re using a whiteboard or digital tool, you can rearrange your mind map as you go. Although some mind mapping experts use complex mind maps, I find these are time-consuming to create and use, particularly, if you’re unsure about how to use mind maps for your creative work. Experimenting with your mind maps is a good practice. You could try different pictures and colours, play with the shape of your mind map and the way you branch and order your ideas. As you fertilise your mind map with your ideas, it will grow rapidly and in many directions. Like the artful gardener, it’s your job to prune the tree and shape your mind map. When you’ve finished your first mind map, rearrange or remove what you don’t need, so it makes sense later. Even if your mind map looks pretty, it’s useless if you avoid doing anything with it. Have a plan for turning your mind map in something you write or create. Or if your mind map serves as a visual aid, print it out, and keep it with you for a while. I also save digital mind maps in Evernote. Remember, your mind map is a creative technique, but it’s not the work . Before writing my first draft of this article, I created a mind map, using MindMeister. My central idea was to explain ‘What Mind Mapping Is’. After coming up with a central idea, I wrote down the main points of my article, based on what I’d read and researched. Next, I expanded these main points and branched them out into sub-topics. I paid little attention to the order or structure of my ideas until I was done. After completing the first version of this mind map, I added colours and images to the mind map. Next, I reorganised my mind map in a clockwise fashion. I put the introduction to the article at 1 o’clock, the ‘Why Mind Maps?” section at 3 o’clock, and so on. It’s easy to do this, using a mouse with MindMeister. Then, I pruned or removed what I didn’t need for the article from the mind map. Creating a mind map took about 20 minutes. Finally, I dictated this article by looking at my mind map and speaking into a microphone about the topics I’d mapped. You don’t have to create a mind map, like this. Some mind mapping aficionados put their central idea to the far left of the screen or page. Then, they branch out their ideas in a horizontal or a linear fashion, much like a Fishbone or cause and effect diagram. Pen, paper, and multi-coloured pens are perfect mind mapping tools, because they are affordable, available, and difficult to tinker with. Like the writer James Clear notes, limits encourage you to become more resourceful, and in this case focus on your single idea. I also like using a whiteboard for mind mapping, because I can use an eraser to redraw and rearrange parts of the mind map as I go. Again, I find it impossible to tinker with the settings of a whiteboard. If you use pen and paper or a whiteboard for mind mapping, take a picture of your mind map with your phone and save it to your computer. I save these pictures in Evernote, alongside the rest of my research for books, blog posts, or articles. These mind mapping tools include features for attaching documents, collaborating with others, and presenting the mind maps. I like advanced digital features as much as the next person, but the mind mapping tool you use is always less important than the process. If you’re mind mapping for the first time, low-tech multi-coloured pens and a large sheet of paper work fine. I picked MindMeister, as I wanted a mind map I could include with this article that looks presentable. I also picked it, because the free version of MindMeister is feature-packed. If you want to learn more about the creative power of mind mapping, read Mind Map Handbook: The ultimate thinking tool by Tony Buzan. 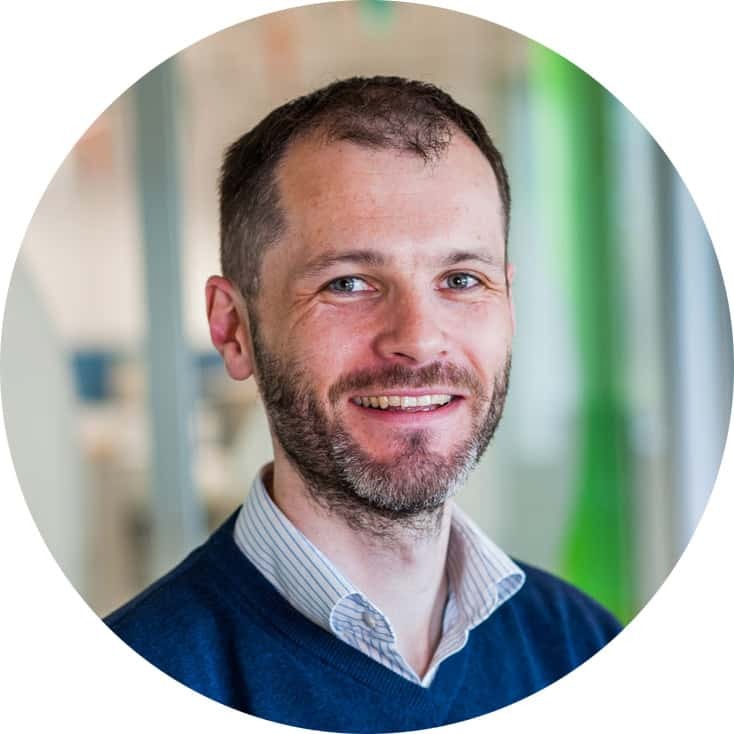 He provides practical examples of mind maps in action, and his solution, iMindMapPro, will help you create mind maps that looks just as good. Mind maps are a simple, but proven, creative technique every writer can use. The good news is, you already have everything you need to create your first mind map; you have only to pick one idea and start. If you still need help creating a mind map, I’ve put together a free giveaway about mind mapping that you can download below. I hadn’t mind mapped in a while, but I was surprised by how fast the process was. Enjoyed the article and must get into mind mapping again. Used it extensively at university, even to write structured responses on exams. While I realize the process is more important than the tools, I was surprised you did not mention FreeMind as a completely free tool option. You mention MindMeister, but it’s very scaled back in features when I look at it’s pricing choices. HI Jason, I haven’t used Freemind, which is why I didn’t mention it. I’ll check it out and update the review. Thanks for letting me know. Good addition, I’ll add it when I update the post. Thanks Lisa. Mind Mapping is quite an easy task, some people choose to just draw them by hand on paper, while some people prefer to use whiteboards! But, ever wondered about the risks of losing the scrap of paper or erasing the whiteboard accidentally? Hours of hard work and ideas being lost? This is why its best to use a Mind Map software to get the job done! 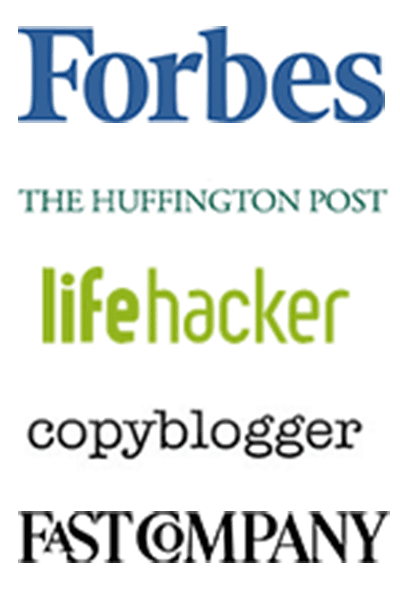 Would you mind telling me who built your marketing and funnel system? I’m a yacht broker struggleing with building a marketing team to promote my service as a yacht marketer and client advisor. But manage to sell about 20m USD a year with the crappy system that I currently use. The passion project where I’m STUCK and overwhelmed. Over my 30 year career I have met and served VERY successful people as you may imagine. I was thinking their story’s of success would be interesting content for anyone who would like to know how to build a successful business. The thing is, I don’t have the time to do the story building, editing, podcasting interviewing ect it would take to launch a successful business alone, but feel I have acces to a goldmine of powerful, inspirational people and thier story’s would most certinaly inspire and guide up-and-coming, aspiring Entreprenuer’s. How would you suggest I build a team to launch this business? Do you have any resources you feel would be helpful that you would be kind enough to direct me to? Thank you again for the helpful content you’ve provided. I am signing up for your newsletter and buying your books today!